A raving Rabbid is stuck inside the Wii Remote controller! 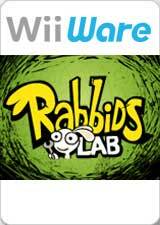 Come play with him in Rabbids Lab, a standalone version of the In Ze Wii Remote customization feature in Rabbids Go Home. The graph below charts the compatibility with Rabbids Lab since Dolphin's 2.0 release, listing revisions only where a compatibility change occurred. This page was last edited on 18 January 2018, at 01:25.